Learn to make money while building your own real estate investing business by referring deals as a “BirdDog”! A “bird dog” is someone who locates a property for a home buyer and gets paid a referral bonus when the sale of the property closes with said home buyer. In this training, I am going to show you who you want to work with and how you can get the big finder’s fees that could sustain a good part-time income or cash on the side for you and your family. As a bird dog, you are going to be paid a finder’s fee. The finder’s fees vary depending on the quality of the lead that you provide. Some bird dog programs only pay $5 for a picture and an address of the house regardless if the house lead sells or not. Other bird dogs programs pay higher – from $500 to $2,000 if the sale transaction is completed. This training will show you how you can make the big finder’s fees of up to $2,000. You see, there is a lot of money in terms of commissions and finder’s fees because the amount of money that changes hands in real estate transactions is phenomenally huge! For example, the total 12 month estimated existing house sales (EHS) in the United States is roughly over one TRILLION dollars. In 2013, this amount was about $1,1 TRILLION. Bird dogging real estate deals is the best way to transition into real estate investing, particularly if you are holding down a job for whatever reason. If you are not ready to fire your boss as of yet, working as a bird dog for one or a couple of wholesalers and real estate investors will allow you to learn the most essential part of real estate investing which is FINDING DEALS. There will always be more money than deals so a bird dog does have a place in the real estate investing food chain. Maybe you're not interested in real estate investing but would like to earn serious extra cash fast. Well, this is your opportunity to start your own home-based business and there's NO potions or lotions to sell! In fact, there is NOTHING FOR YOU TO SELL! Real estate investment instructional documents for you to download such as the Overview of Bird Dogging, an example Bird Dogging Agreement, Property Evaluation Form, and a sample Script to use with Sellers! Practical and valuable techniques used by today’s real estate investors. 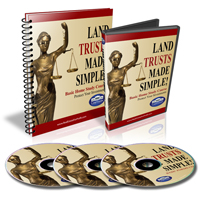 Even revealing secret and undiscovered tactics of real estate investors. Perfect for anyone looking to learn and getting involved in real estate investing. Suitable for anyone deciding/looking for a new career. Ideal for anyone looking for the vehicle to change their life. A potential vehicle to wealth. 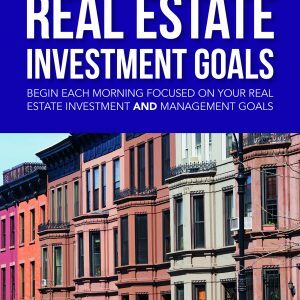 The start of YOUR Real Estate Investing career. Going to magically make you money.